Purchasing a used car can sometimes feel like a gamble, especially when it is directly from another person rather than a dealership. As a buyer of a used vehicle, you have the right to have that vehicle inspected before committing to purchasing it to determine the overall health. We highly recommend a pre-purchase inspection before purchasing any used vehicle, as it will give you an idea of any underlying issues or any future financial burden that the vehicle may bring. If you’re looking to purchase a used vehicle and need a pre-purchase inspection, bring your vehicle into the experts here at ABR Houston in Spring, TX. Our Master certified technicians are experienced and trained with BMW, Audi, Rolls-Royce, MINI, and Volkswagen vehicles. Our technicians will perform a thorough inspection of the vehicle to give you an accurate and honest evaluation of the vehicle. A pre-purchase inspection at our shop will provide you with answers about the vehicle you are thinking about purchasing. We offer a detailed report of any repairs that are needed now or will be needed in the near future. This will help to protect you as a buyer and guide you on whether or not the vehicle is worth the price. ABR Houston is the trusted choice for automotive repairs and services in Spring near Houston, TX. 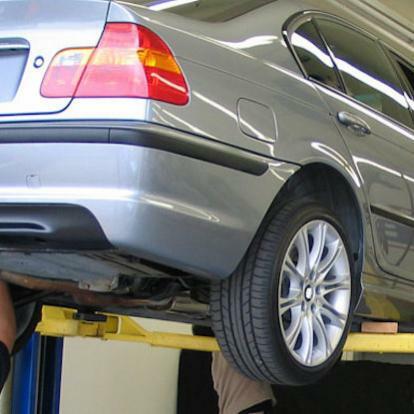 Our German vehicle repair facility services BMW, Audi, Rolls-Royce, MINI, and Volkswagen. We have provided our community with honest and experienced German auto repair since 2011 and counting. We offer an outstanding 3 year or 36,000 mile nationwide warranty on repairs and also offer a comfortable waiting area with refreshments, snacks, and Wi-Fi. If you’re looking for a pre-purchase inspection in the Spring, TX area, stop by the professionals here at ABR Houston.